I'm not sure what this cable below my throddle cable is. In my pictures, it looks to be clipped. What is this cable? Is it meant to be cut? If it's not meant to be cut, what should i do? Re: What's bellow my throddle cable? 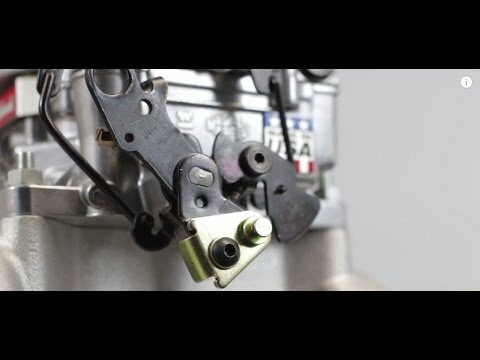 Click the video link above to see the small bracket needed to make your transmission cable function properly with the 700r4 transmission in your car. Very important for this cable to be hooked up and adjusted properly, very inexpensive but very crucial for proper transmission functionality. Your cable is not cut, the black plastic piece clips onto the bracket in the video, and picture below. Thank you so much! I'll be sure to get that item! I'm hoping this will do the trick! DO NOT drive the car with that disconnected. It will ruin the transmission. I'll leave it turned off for awhile. I'll try buying that piece asap! Thank you everyone! Quick Reply: What's bellow my throddle cable?